Hi Thanks for the great work! 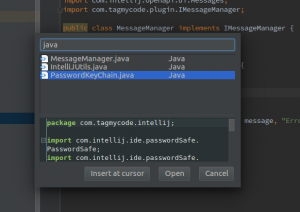 I’m using the IntelliJ IDEA plugin to organize my code using different tags. 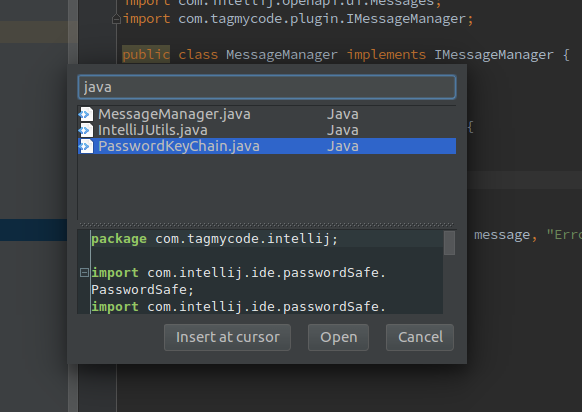 I think it will be great if you can add a feature which we can search or filter by tags. For example, when I search tag “sorting” (or even better, if it’s clickable), it will show me the list of snippets that are tagged with “sorting”. That will be very helpful. Thanks in advance! Hi Daniel, this feature is scheduled for next releases.